Umbrellas are great to protect you from the elements. Most people know that includes rain and snow, but did you know that some umbrellas are also great to protect from the Sun's UV rays? Use this umbrella on the beach just as easily as you do in rainy conditions. Additionally, the umbrella is wind and water repellant, and is super portable despite a 42-inch coverage area that can protect 2 people at once. This umbrella has nice durable handle, and easy which makes for easier one-handed operation. Order this Silver Fever umbrella today! 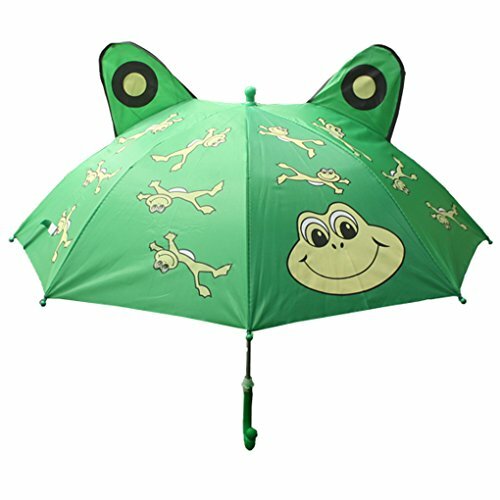 FUNKY & KIDS FRIENDLY: Child will love umbrella's cute animals. The parent will be happy with price, quality and easy-to-operate construction. WIND & WATER RESISTANT: Durable construction protects you from the rain even in high wind conditions. If you have any questions about this product by Fashionista Kids, contact us by completing and submitting the form below. If you are looking for a specif part number, please include it with your message.